C.S. Lewis, writer of the famed Narnia Chronicles, wrote this very honest line, "No one ever told me that grief felt so like fear." For anyone who has lost someone they love no thoughts ring truer than these created by Lewis. Grief, although generally called a normal process, feels like we are robbed of our own being. 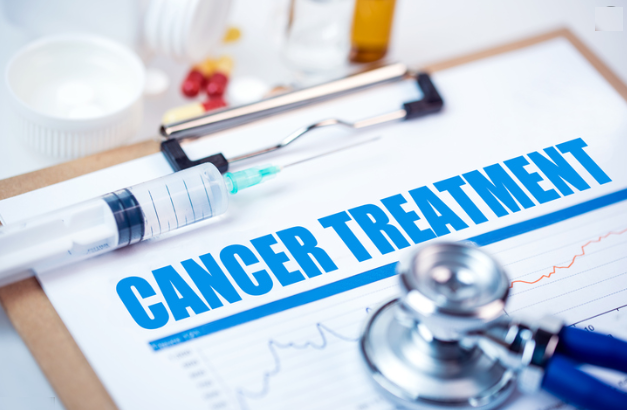 For people who have lost somebody they love to cancer, regardless of whether these patients went through the traditional method or get alternative cancer treatments, there is an emptiness they feel after losing the battle. It may be said that in some way the illness cancer preps you for death, yet grief is a bottomless well or a sinking pit one can't get free from. In psychology there are 7 stages of grief before one can possibly say they are genuinely regarding this. And even though the despair of losing someone we love to cancer or to any kind of death is a thing people will carry throughout their lives, there will come a point when we can overcome grief. Pretending this is merely a dream will be the standard initial response to grief. The shock is of it actually happening brings about disbelief and our mind's initial response is to deny it. Although sadness is an emotionally charged feeling, sometimes the anguish is simply too heavy that it's almost physical. This pain is what triggers the melancholy and the self-destructive ways. It's also the most anguished part of the stages. There's also such a thing as survival's guilt, feeling that we should have died together with our loved one. Because we can't do anything whatsoever concerning the circumstance, we experience this heavy rage and demonstrate hostility to the world or blame people for the demise. This is when people release the bottled despair they feel within. Irrationally, we begin to bargain for our dearly departed. We would question why us or promising God specific things in order to deliver him or her back to life. We then arrived at a time when we would like to be alone and reflect on what just happened and also exactly why this happened to our life. We'd think, we did every little thing, alternative cancer treatments, the right diet, the best medical doctors yet still, this is what happened. Often the melancholy is deep in this phase since this is when you comprehend the magnitude of the great loss. Those who will try to help you get out of this rut won't succeed. This can be the stage when we view the light at the end of the tunnel. We're not entirely out of it however the darkness has lightened up a little bit. Upon seeing that silver lining, we are more functional. We begin reflecting on more positive notes like what we should we with our existence, how we could restore our way of life, and our utmost concern is to move on. This really is the end of the tunnel and all over the sun is out and the world is a beautiful place to live in again. You've come to accept your grief, because it isn't completely vanished, but you've accepted the situation you're in. It's difficult to lose someone we love, be it cancer or some other form. But as Leo Tolstoy said, "Only people who are capable of loving strongly can also suffer great sorrow, but this same necessity of loving serves to counteract their grief and heals them."